My name is Andy Woodard. My New York story began over one hundred years ago when my great great grandfather came to America as an immigrant in the late 1800's from Sweden. Upon landing in New York City, he made his home in Brooklyn and was converted to Christ under the ministry of E.M. Broen, the pastor of the 59th street Church, in Sunset Park, Brooklyn. The church's distinction between the law and the gospel, joined to the warmth and emphasis on heart-felt, experiential Christianity would set a trajectory of faith for his family for generations to come. That direction would eventually lead his great great grandson (me) to return to New York City in 2014. I was originally sent by Grace Baptist Church in Dacula, Ga. to work with New York Gospel Ministries and Manor Community Church in the Chelsea neighborhood of Manhattan. I had the honor of preaching to these dear people every Tuesday from 2014 - 2016 (at Manor Community Church). After two years, full of ministry, working daily with the food pantry, ordination and installation to the pastorate, and preaching every week, I sensed the Lord calling me to church planting. Through a very difficult season of prayer, fasting, and seeking wise counsel I gained clear assurance that this was the step God was calling me to take. After an extended series of meetings, the elders at Manor Community Church affirmed the very difficult decision to leave Manor, in order to move to Louisville, KY, to complete my Master of Divinity at Southern Seminary for the purpose of returning to plant churches in New York City. Saying goodbye after preaching my last sermon, "The Final 'Finally'", as a pastor at MCC. As I mentioned earlier, I grew up in a Christian home. In fact my dad is a pastor and has been for over thirty years. I grew up in a home that read the Bible and prayed each day. We memorized Scripture as a family and went to church every time the doors were opened, but those things, as good as they are, were not enough to make me a Christian. My parents faith had to become my own. I needed to be born again for myself. Finally in the winter of 2000/2001 Jesus saved me, and forgave all of my sins. Then when I was 19 I publicly professed my faith in Christ through Christian baptism. 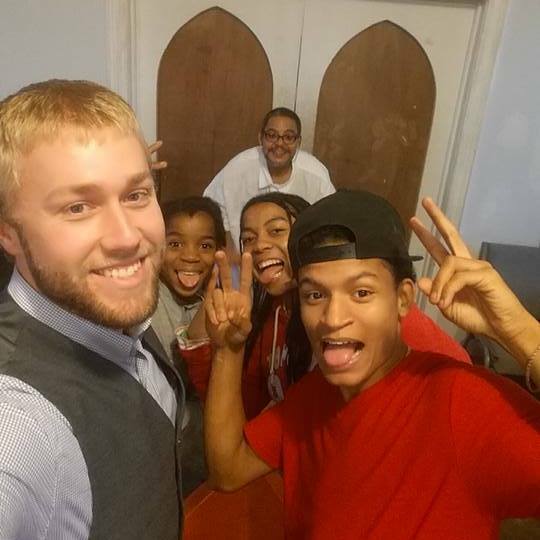 Our pastor is actively engaged in building partnerships with many individuals, churches, and organizations. Our church is an autonomous church which makes its own decisions regarding leadership, membership, doctrine, and practice, but we desire to have as broad of fellowship as possible within the body of Christ. Our pastor is a member of the Church in Hard Places and Made to Flourish networks, and has vital relationships with ministry leaders who provide fellowship, encouragement, guidance, and help. Our church is a part of the Metropolitan New York Baptist Association. Gary Rosenblatt currently lives in Manhattan in New York City, and is serving at New Covenant Church as one of its Elders / Pastors. He has a God-given passion for the glory of God displayed in Jesus Christ to be made known to all by the Holy Spirit, and exhibited through healthy local churches. This passion has lead him to develop a heartfelt love for East-Asian missions, Bible translation, unreached / unengaged people groups, and the planting of Biblical churches in NYC & Long Island. Gary grew up in a half-Catholic / half-Jewish family, but had his first encounter with genuine Christianity in 10th grade, after being invited to attend a youth group at a friend's church. The Lord saved him at the very end of high school (although he wasn't baptized until 18 months later), and by God's grace, Gary dedicated his four years at undergraduate college to studying Scripture and growing in the faith and knowledge of Jesus Christ. 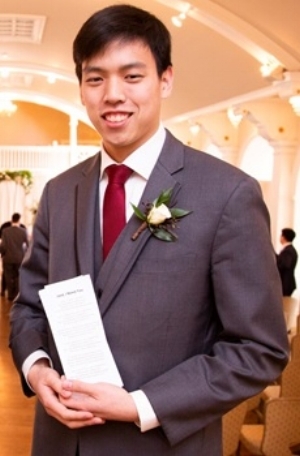 He graduated from Cornell University with a major in Finance, and currently works full-time for a Japanese investment bank in NYC, doing risk management. 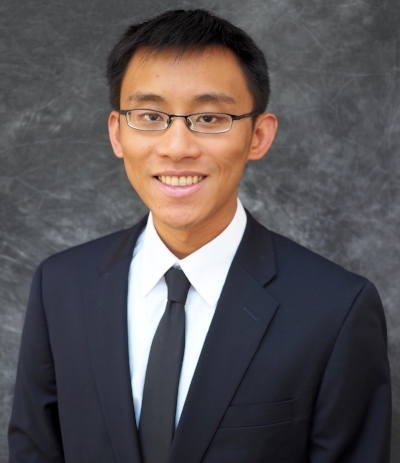 Frank Lin currently lives in Manhattan and serves at New Covenant Church. He loves to play guitar, sing, and lead people in worship of the living God. Frank grew up in upstate New York in a Christian household, but did not truly understand the depth of the gospel until encountering God through the doctrines of sovereign grace in college. He attended Cornell University, where he studied music and God grew his love for the church and the gospel. Frank now works in the city as an associate teacher in a charter school. Kevin was born in Taipei, Taiwan. At the age of 10, his family moved to Ottawa, Canada, where they stayed for the next seven years. It was when they moved to Los Angeles, California, Kevin's senior year of high school that the Lord saved him. God used the trial of taking Kevin away from the idols he was pursing and led him to seek for lasting comfort in Him. Between the end of 2008 and the beginning of 2009, Kevin came to believe that Jesus was God incarnate who died and resurrected and who offered pardon for his sins. Kevin repented of his sins and decided to follow Him as Lord and Savior. He was baptized April 12, 2009. Soon after, the Lord brought him to Grace Community Church, where the Word is faithfully taught. He grew Kevin in the loving communities of Grace on Campus at UCLA and USC, where he studied for undergraduate and graduate school. Kevin moved to New York City the summer of 2018 to pursue a job in natural product drug discovery. His desire is to glorify God with his life and work to advance His kingdom on earth by teaching His Word, loving the brethren, sharing the Gospel, and living an obedient life. 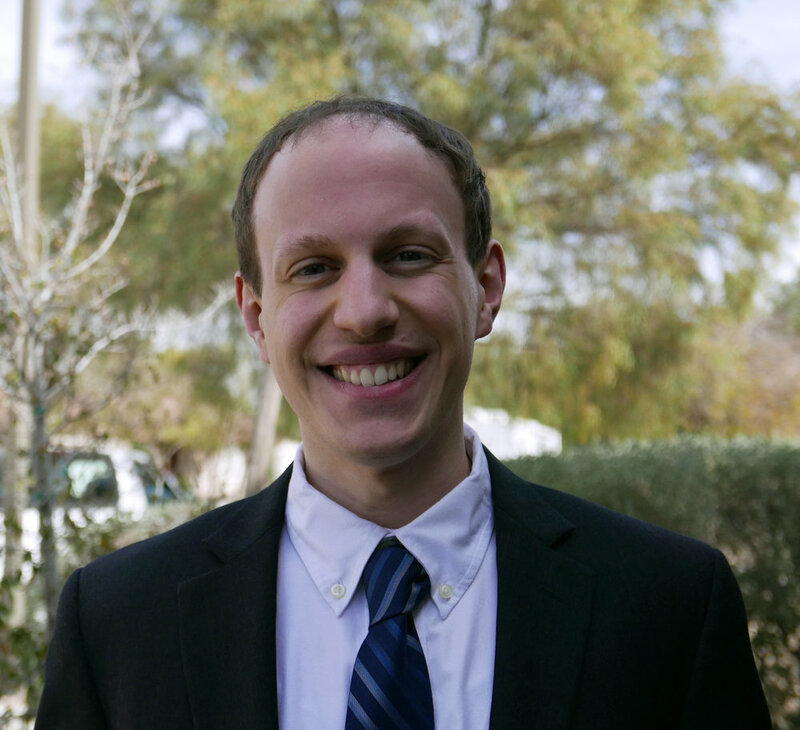 My name is Dan Wolf and I moved to New York City in August to become a pastoral intern at New Covenant Church. I graduated in May 2018 with a B.S. in Christian Ministries. I grew up in a Christian home and had the opportunity to be in a biblical church and hear the gospel many times. But at young age because I wanted attention and love that I felt I lacked I made a profession of faith I truly did not mean. And for many years I was able to act like a Christian in front of the right people while all the time hating God and loving my own sin in my heart. This went on for many years. I went to a public high school, hung out with some not great influences and feeding my sin. When I was 16 years old, midway through high school, there was a week of preaching meetings at my church. My parents made me go and I remember sitting there listening to a gospel message, not entirely different from the many I had heard my whole life, but this time I knew I needed it. I saw my sin and how badly I deserved judgment, but God offered grace. And that cold night in the fall of 2010, God drew me to Himself and I became a new creature in Christ. I am so thankful for God’s sovereignty in salvation that though I was dead in my trespasses and sins, and completely undeserving, God by His grace made me His own. Since that time, the Lord has been at work in my heart and I praise God for any growth since then. After conversion, God began to impress on my heart the desire to serve Him in vocational ministry. Through the affirmation of others and the great desire of mine to preach and teach, I attended a Christian university to study ministry. Through the college I attended I was able to meet Andy Woodard and through time and a following of his ministry in NYC, God gave me the opportunity and led me to NYC. I love the city and I love New Covenant Church.